R. Balasubrarnanian (Ph.D. and D.Litt., Madras University), was Professor and Head, Sri Aurobindo School of Eastern and Western Thought and Chairman, Indian Council of Philosophical Research, New Delhi. A specialist in Advaita, Phenomenology and Existentialism, he has number of books and articles to his credit and has lectured in several universities in and outside India. He taught in Besant Theosophical College, Vivekananda College, and Annarnalai University before joining the faculty of Radhakrishnan Institute for Advanced Study in Philosophy, University of Madras, of which he was the Director for a number of years. He spent a year at Stanford University as a Fulbright and Smith• Mundt scholar for his post doctoral studies. 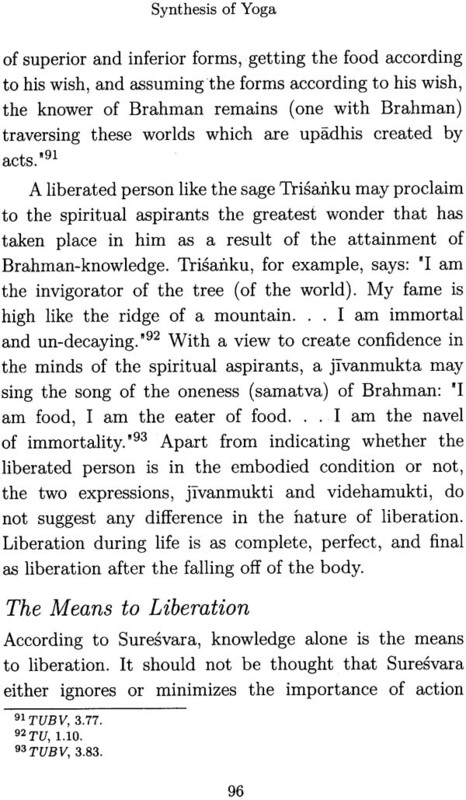 Some problems in the Epistemology and Metaphysics of Ramanuja (1976), A study of the Brahmasiddhi of Mandanamisra (1983), The Nuiskurmyasiddhi of Suresvara (1988) and The Sivajnanabodhasangrahabhasya of sivagrayogin (Sanskrit, co-editor)(1992). 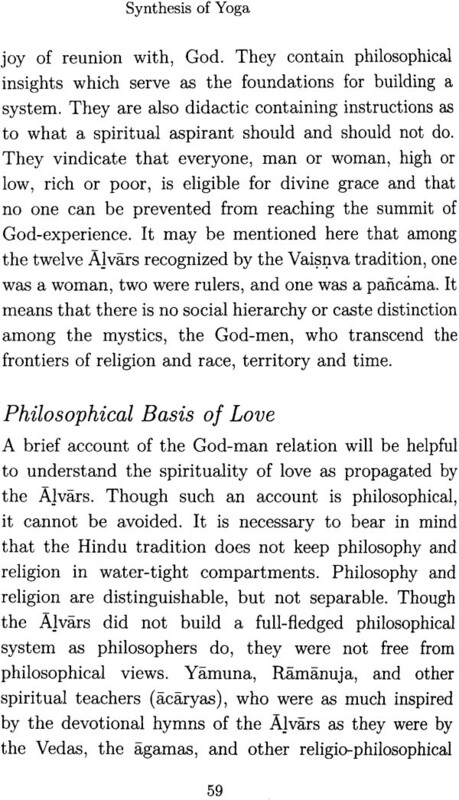 One of the distinguishing features of Indian philosophy is the unity of theory and practice. The intellectual analysis of the goal is theory, and the pursuit of it through moral and spiritual discipline is practice. The Indian tradition holds that theory without practice is empty and that practice without theory is blind. It means that the all-round development of an individual requires the help of both theory and practice. The unity of theory and practice finds an important place in all the traditions of Indian philosophy — Vedic, Buddha, and Jaina. 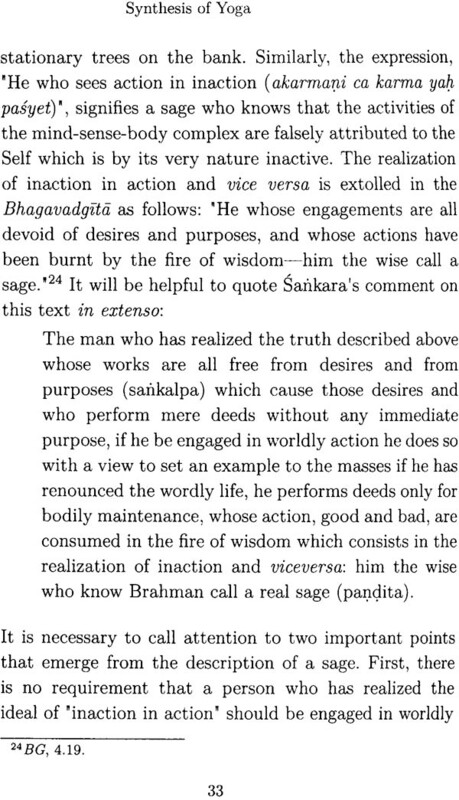 According to Sankara, the human being (jiva) has the special competence to pursue knowledge and perform goal-directed, deliberate actions (karma—jnana-adhikarah). All the Vedanta systems accept the synthesis of yoga for the realization of the goal through spiritual transcendence. Also, they hold that Karma—yoga is the foundation for both bhakti-yoga and jnana-yoga. 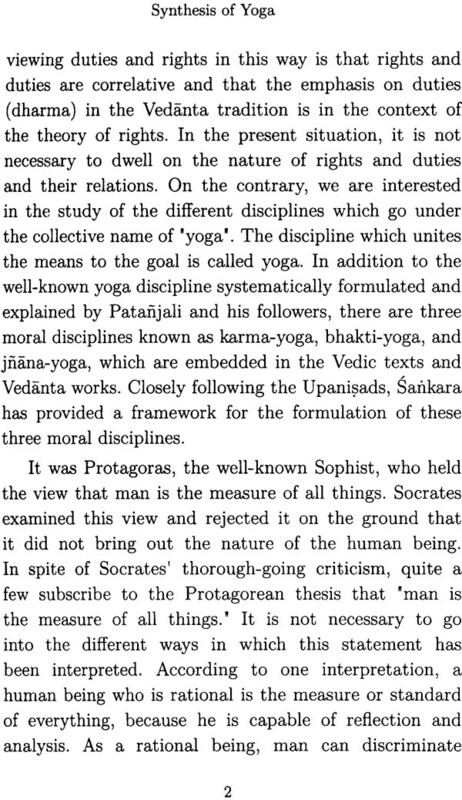 The question whether bhakti-yoga should precede jnana-yoga, or vice versa, is purely academic. 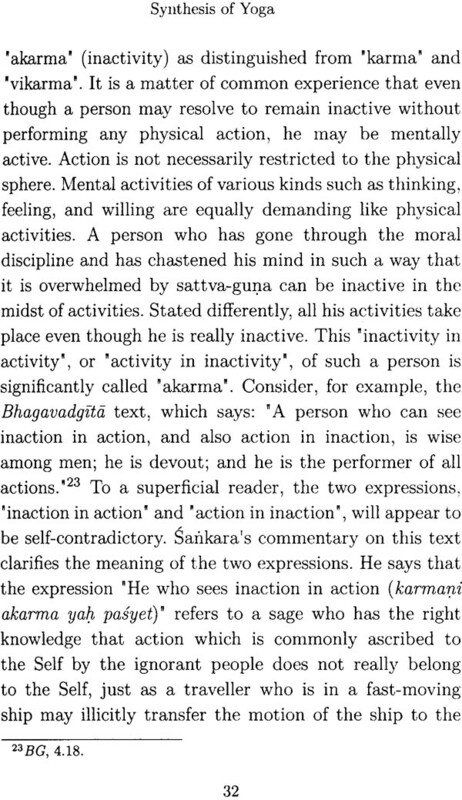 For molding the life of a spiritual aspirant, all the three disciplines are necessary, and that is why the Bhagavad-Gita and other texts try to present a synthetic view of these three disciplines. Consider, for example, the text of the Bhagavad-gita (4.10) which says: "Freed from attachment, fear, and anger, absorbed in Me. Taking refuge in me purified by the fire of knowledge. many have attained me. 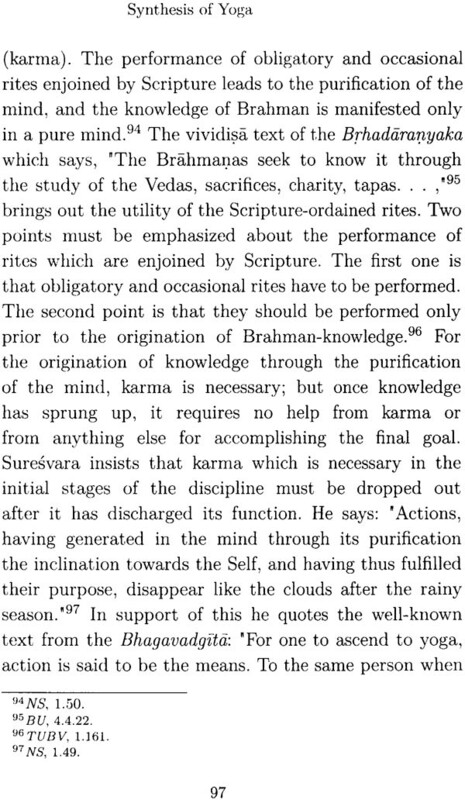 While the first line refers to karma yoga and Bhakti-yoga the second line highlights Jnana-yoga. 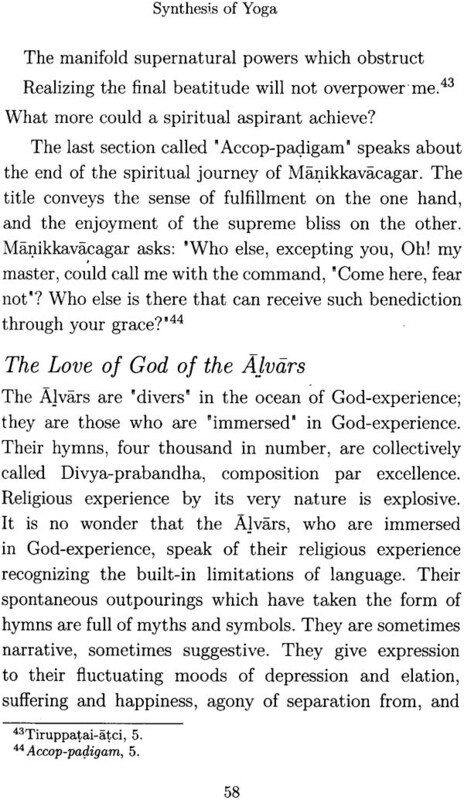 I am thankful to the Chinmaya international Shodha Sansthan (CIFSS) for publishing this work.